Pump sprayer contains only water, but is labeled to nitroglycerin lingual spray. Simulates 400 mcg per spray. 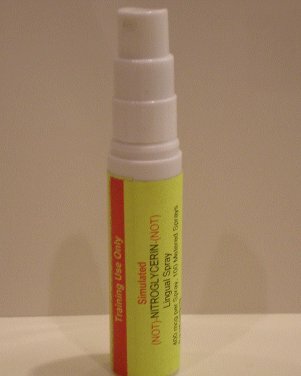 PharmProps' simulated nitroglycerin lingual spray provides realistic training in a controlled environment. 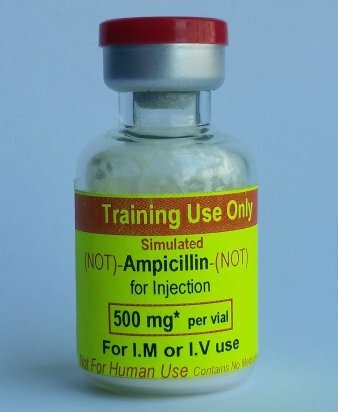 Ideal for practicing proper drug and concentration identification and administration.